Whether you use Amazon’s personal assistant service on your Echo, your iPhone, your Android or another compatible device, you know how useful Alexa can be. 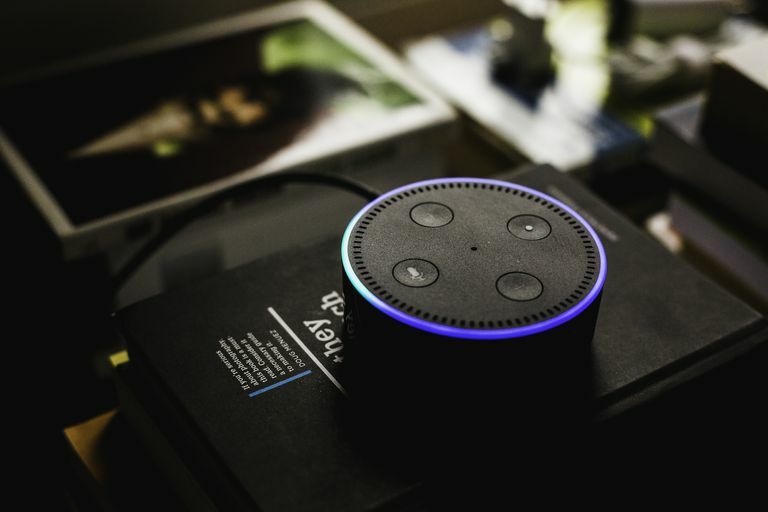 When you combine the power of this digital assistant with the trigger-and-action recipes of IFTTT, Alexa can help you save even more time, stress and effort. Once you activate an IFTTT applet, you can activate Alexa skills to automatically perform many tasks. IFTTT, which is an acronym for If This, Then That, is a free, third-party service that automates repetitive tasks with a variety of devices and services using simple scripts, also known as "recipes." Learn more on the official IFTTT website. Getting started with IFTTT is easy. All you need to do is visit the IFTTT website (linked above) and click Get Started. You'll be prompted to sign in with a Facebook or Google account or to create a site specific username and password. Once that's done, you're asked to pick three or more devices/services that you use often. These include options like Android, Facebook, Instagram, and Amazon Alexa, as well as several others. Once you've made your choices, you click through to a page of suggestions where you can browse IFTTT applets based on the options you selected. Choose one you like and follow the onscreen instructions. Note: You may need to enable IFTTT capabilities on your smartphone, apps, and other devices before an applet can be turned on. If this is the case, the IFTTT site will notify you with instructions on how to continue. Follow the instructions to continue enabling the applet. Once you have used one IFTTT recipe, you might find yourself looking for more ways to use more of them. Although there are some complex applets out there and you can even create your own, many simple yet handy recipes do exist. This list of extremely useful IFTTT recipes will help you automate mundane tasks, lighten your load and have some fun, as well. If you are already using Alexa's alarm feature to wake you up (and you really should be; they're super easy to set and you can even have a celebrity voice wake you), adding this smart light bulbs feature is a snap and it helps you beat the morning sluggishness that leads to oversleeping. If you’re a fan of hitting the snooze button, those extra 9 minutes might be a bit less enjoyable with the lights blaring, and waking to sudden bright lighting could definitely be a bit jarring. Your alarm might be loud, but the bed is so cozy and your room is nice and dark. Alexa can help you get up on time by switching on the lights as soon as your alarm begins to sound. No need to crawl out of that nice warm spot in bed to get the coffee brewing. Instead, you can have it ready to go as soon as your feet hit the floor. We haven’t (yet!) found an applet that reminds us to add the coffee grounds and water the night before, although you could probably create one. Also, Alexa-enabled coffee makers are still new, so there isn't a large variety of them available and the ones that are cost about as much as other high-end coffee makers. You can have a fresh, hot pot of Joe waiting for you when you step out of bed if you have an Alexa-connected brewer. All you have to do is say, "Alexa, trigger brew coffee,” your coffee maker will start. This applet is compatible with any type of phone, from iPhone, to Android, to Windows and beyond, since it works by simply calling your phone for you. If you have your phone on vibrate, you might not be able to hear the buzz of it vibrating from the depths of the living room furniture. And if the phone is on silent, it won't ring at all, although there is also an applet to unsilence your phone, that's a common problem for you. How often do you set your phone down somewhere or unknowingly lose it between the sofa cushions? When you enable this applet, you'll have to provide your phone number and then accept a phone call from IFTTT to get a pin number. Enter the pin number and then choose whether to create a custom command or use the default command to activate the the skill. If you use the default, then when you need to find your phone, you simply say, "Alexa, trigger find my phone" and she will call your phone. You can set up one or more custom phrases, so setting the perfect temp quickly is a breeze, no matter how hot or cold it might be outside. Depending on whether your thermostat is set to Heat or Cool mode, it’s possible you might not get the result you were hoping for. A smart thermostat, like Nest, connects to your smart home network and can be programmed to adjust automatically on a schedule you define. But what if it's still too warm or not warm enough? With this applet, all you have to say is "Alexa, trigger Nest to 72" (or create a custom trigger phrase) and Alexa will adjust your thermostat. If you have any Circle with Disney smart device and app, there's no need to download additional software to set up this applet, and pausing internet access is one sure way to get your child's attention. If your kids are savvy enough, they can use another IFTTT applet to unpause their internet (or even to block yours!). Homework, chores or dinnertime? If you also have the Circle with Disney device and app, you can restrict your child’s screen time simply by saying, "Alexa, trigger pause [kid's name]." Circle will shut off internet access for that person’s device. Creating a shopping list with Alexa is as simple as saying things such as, "Alexa, I need to buy milk" or "Alexa, add shampoo to my shopping list," so you don't have to remember to write items down. With this applet, you don't have to remember to carry a list with you, either. This only works if you have an Android phone and you used Alexa to create your grocery shopping list. You’re on your way home and decide to stop at the store to pick up items you’ve been needing when you realize you don’t have your list. Thanks to IFTTT, Alexa can send your shopping list to you as a text message so you don't have to shop by memory. Blue is the only option, which may not be especially noticeable during the day. Want to listen to an audiobook while your tea steeps or rock out while your cake bakes? With this applet, your Philips Hue Lights blink blue when your Alexa timer goes off. So leave the earbuds in. You won't miss your timer. This applet does not apply to smart locks, which would round out the recipe nicely. It also only works with Android smartphones, so if your an iPhone user, this won't work for you. If you've ever laid in bed at night wondering if you locked the front door, closed the garage up, or turned off a light, this is the skill for you. Once enabled, all you have to do is say "Trigger lock down" (or set up your own custom phrase). Alexa will lock up the house by turning off the lights, closing the garage door and even muting your phone. A quick setup with no special software needed makes it easy to shut off the lights after you climb into bed. You can add all of your lights to a single group if you want to, so this recipe shuts them all down at one time. You will have to set up groups and adjust the settings if you want to turn multiple lights out at once. If it feels like you spend 10 minutes wandering around turning off lights before bed each night, you'll love this recipe. All you have to say is, “Alexa, trigger bedtime,” and all connected lights will turn off immediately. If you find that you love these applets, there is also an applet that notifies you if a new IFTTT applets for Amazon Alexa is published. That makes it easy to check out any new recipes. As you become more familiar with IFTTT applets, you may also wish to try more complex recipes.